If you were an experienced real estate agent looking to set up shop as a new independent brokerage, what would you do to set yourself apart from the crowd? 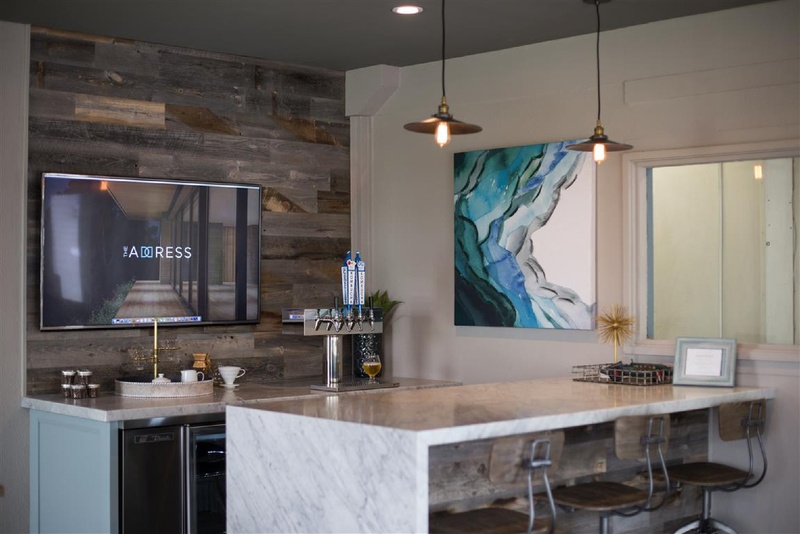 If you’re Troy Palmquist, who works in the high-end Ventura County, California real estate market, then you create an office space that makes passersby do a double-take — and stop in for a drink and a chat. After spending more than a decade building up his understanding of the Ventura County market — working at Re/Max, Help-U-Sell and Engel & Völkers franchises as well as with an investor — Palmquist opened The Address, his brand-new brokerage, with a specific focus: to create an office environment where clients (and agents) want to spend time. He says that his philosophy about the importance of a brick-and-mortar spot in real estate emerged when he started working at a “little mom-and-pop real estate and mortgage company” as his first real-estate-related job. Not only did he learn about the mortgage side of the business, but he also noticed the company’s ability to drum up business simply by being located where it was.